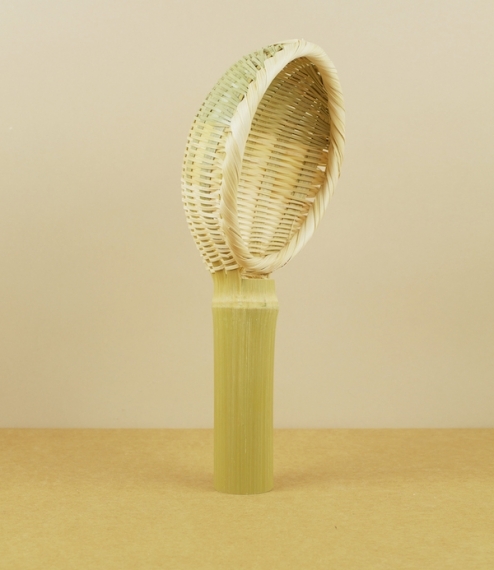 An ingeniously manufactured miso-koshi - miso strainer - from Japan. 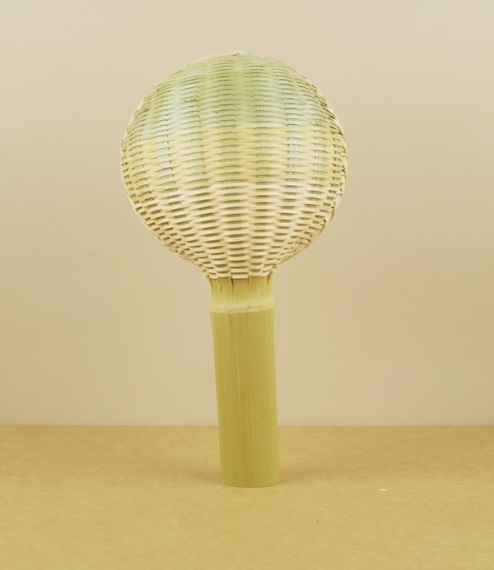 Hand-made and woven entirely of split long jointed bamboo the handle and main staves of the bowl are formed from a single piece, demonstrating an elegant understanding of the material resulting in a simple, strong, and lightweight design. 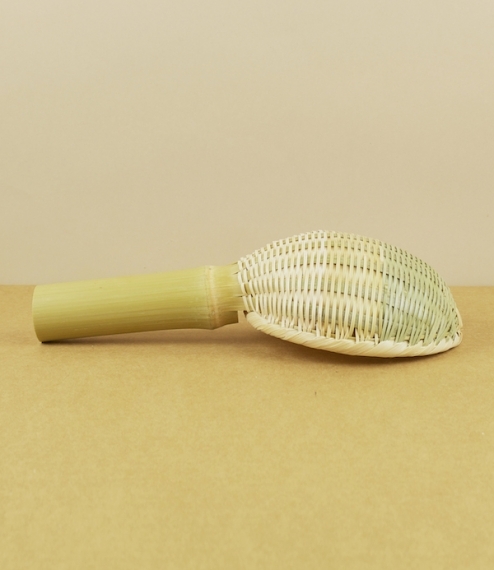 With a tight weave reminiscent of Japanese tea strainers these find use as skimmers, draining scoops, or small colanders. Best allowed to dry and air thoroughly between uses, and stored away from direct sunlight. About 13cm across the bowl, and 25cm from handle to tip.